Winter in London holds many surprises, especially if you’re staying at hotels such as the Shaftesbury Hyde Park International London Hotel. Staying at hotels in the centre of the capital means that the city is literally outside your front door. Whether you’re just here for the main three days of Christmas, or you’re here for the whole season, there’s plenty of festive events to take advantage of. Keeping all ages happy over the holidays is no mean feat; everyone will have a different agenda when it comes to enjoying what London has to offer. That’s where Winter Wonderland comes in. With events and attractions catered to all ages, this Hyde Park based attraction park always proves to be an incredibly popular event in the city and is the perfect day out for some festive fun. Winter Wonderland is the cities first foray into the festive season. 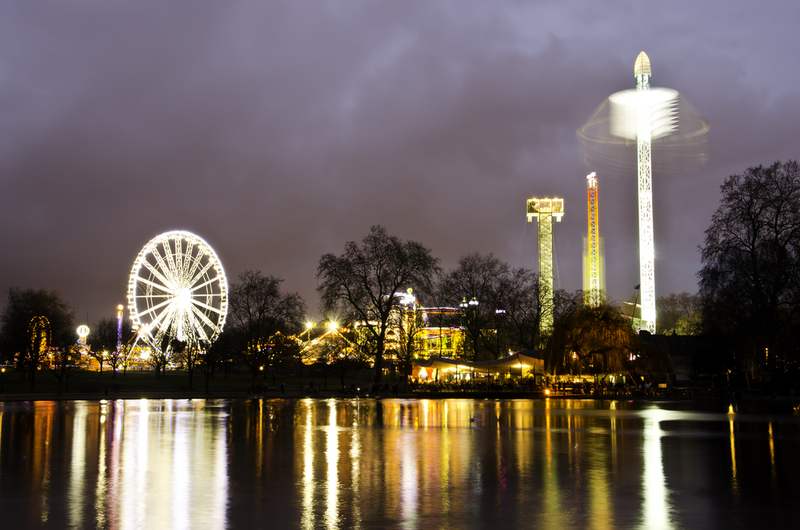 Whatever the weather, Winter Wonderland is often seen as the torch bearer for London’s Christmas period, lighting the beacon for the events to come. 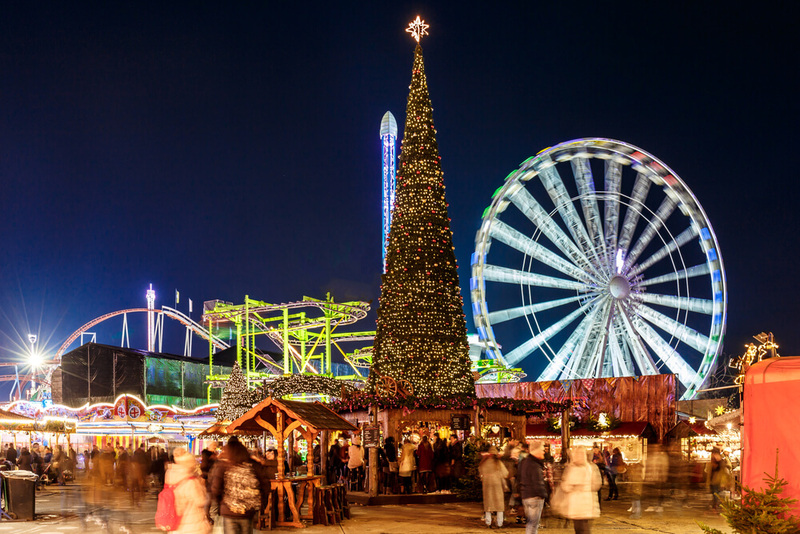 Beginning on the 21st of November and sparkling on until January 6th, Winter Wonderland holds attractions, markets and events which will fill your visit to the brim with exciting one-off events, novelty bars and funfair attractions. Hyde Park is one of the most central royal parks in the city, and because of this, you’ll find that it is incredibly easy to get to. If you’re travelling by underground, the easiest stations to reach it by are Knightsbridge on the Piccadilly line to the South, Hyde Park Corner on the Piccadilly Line to the East or Marble Arch on the central line from the North. If you’re approaching Winter Wonderland by foot, then just follow the lights and festive sounds. Angle’s Market in Winter Wonderland brings a range of experience for food, drink and buzzing attractions tot eh North of the village. Angel’s Market is filled with some of the city’s best arts, crafts and gift stalls, as well as a range of foodie feasts fit for a king. With Jaegerwald bringing sizzling chargrilled foodstuffs and a range of continental ales and beers, and the Blacksmiths traditional crafts stalls, you can be sure to find something suitable for that last-minute Christmas gift or peckish pick me up. Winter Wonderland isn’t just for shopping, you could go to Oxford Street if that was your soul aim. Winter Wonderland also offers a wide range of events and performances. These include the daily showings of Peter Pan on Ice, brining world class figure skaters and dancers to the purpose-built ice rink. On top of this, if it’s a laugh your after, there are regular comedy events held in the parks Bavarian Village, bringing a handpicked selection of the best comedy talent in the city to a sure-fire lively audience. Winter Wonderland is also famous for its brightly lit selection of funfair rides and stalls, bringing games and thrills suitable for all ages. Whether it’s the famous Wonderland Big Wheel or the heart stopping roller coasters, you’ll find something for all ages to enjoy.